That’s the urban poet for me. 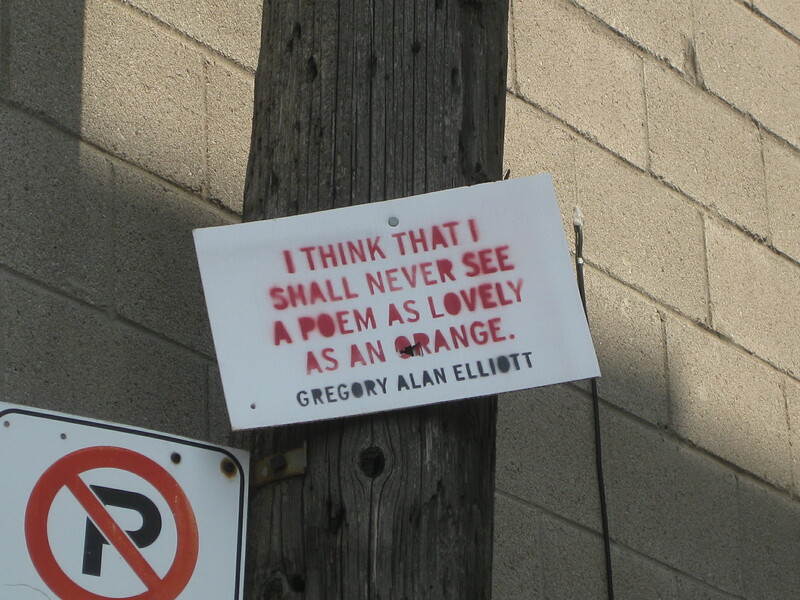 I spotted these signs walking around Toronto last week. They all stood out in some way. Spotted this in Kensington Market, Toronto. 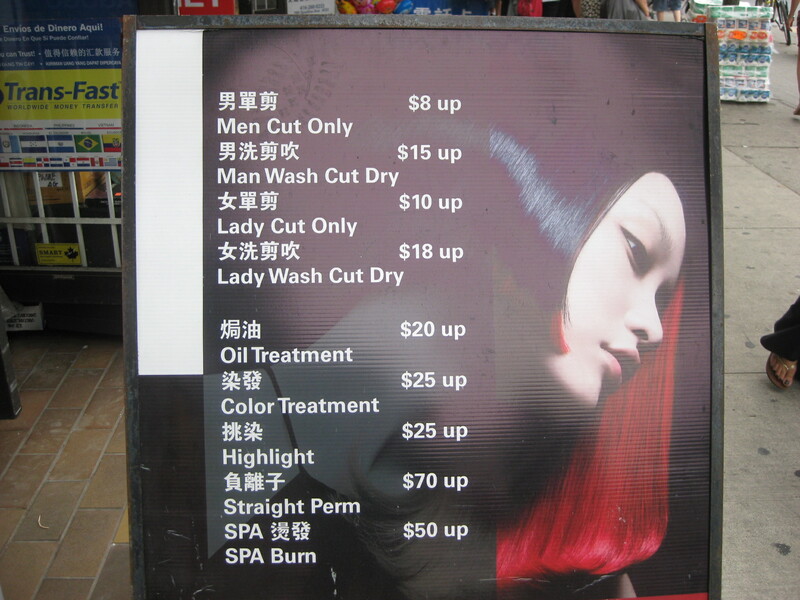 Would you like a haircut here? 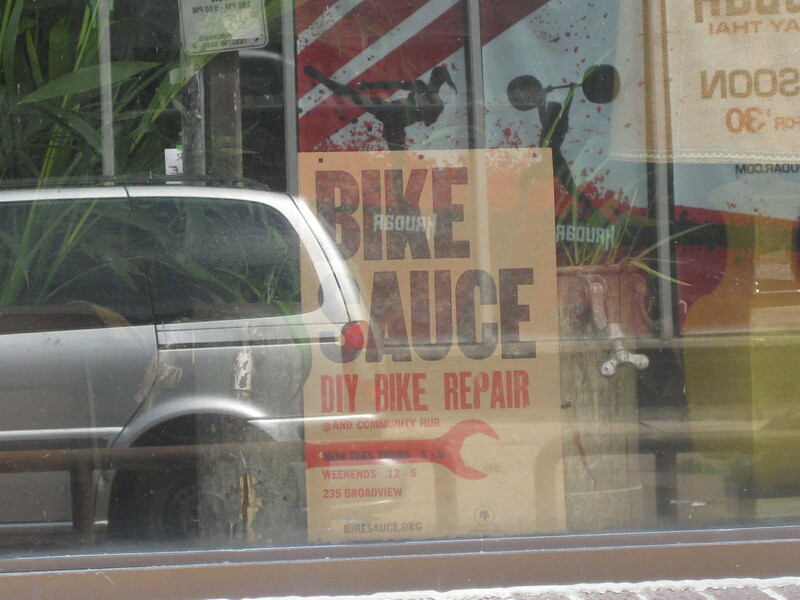 Also, Kensington Market, Toronto. 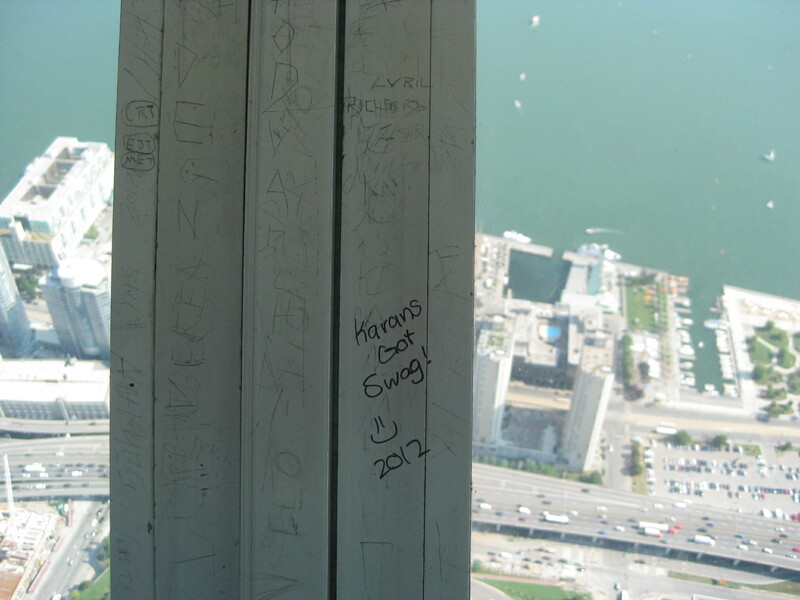 Karan’s got swag but no apostrophe. 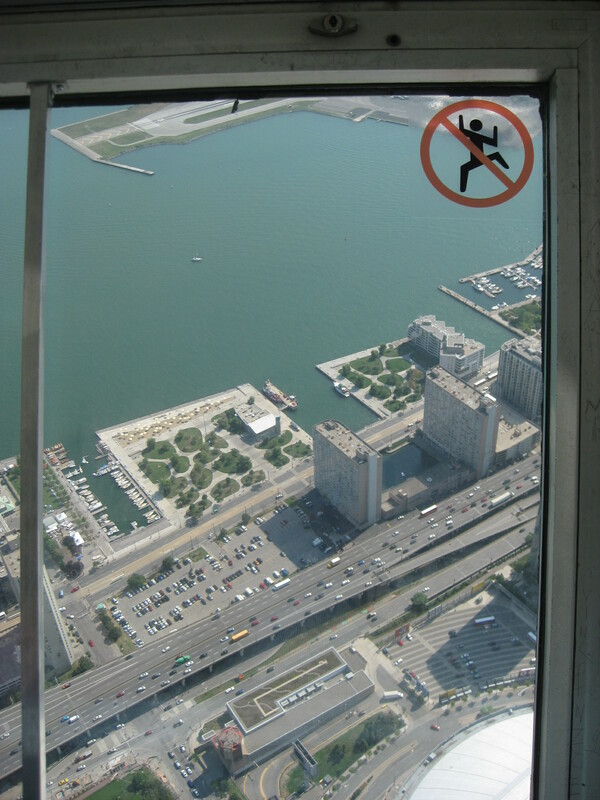 About 147 floors above the ground on top of the CN tower, Toronto. Anyone up for this? Chinatown, Toronto. The quote is from Gore Vidal, and obviously you are an artist! People see these things every day – you have put them in perspective. But, that’s what a writer does! That was a great quote and a wonderful comment. Perhaps way more than I deserve but thanks! These are fantastic!!! I’m exhausted and inarticulate now, but your first two posts on your homepage hooked me. Thanks again for commenting on my FP post. 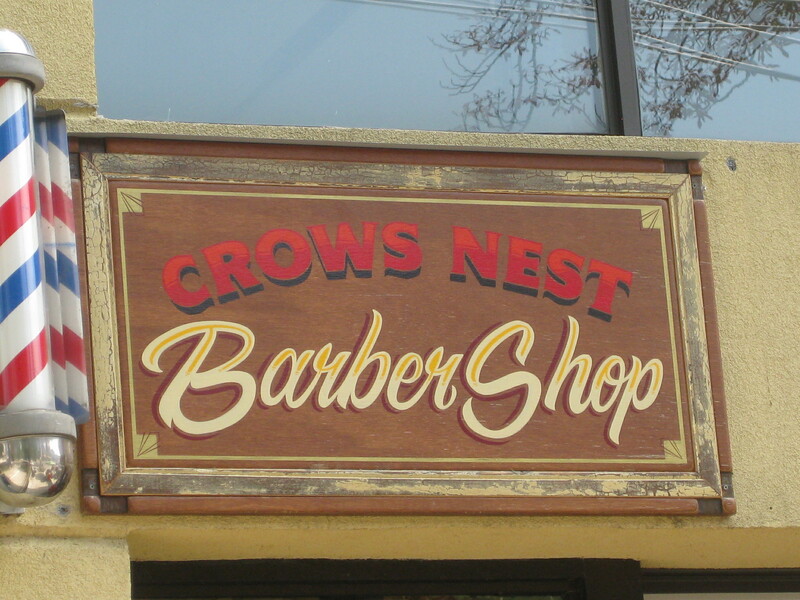 Thanks for visiting our blog and liking our “Go West, Nathaniel” post. I recognized your name immediately because I’d read your blog when you were recently freshly pressed — congratulations! 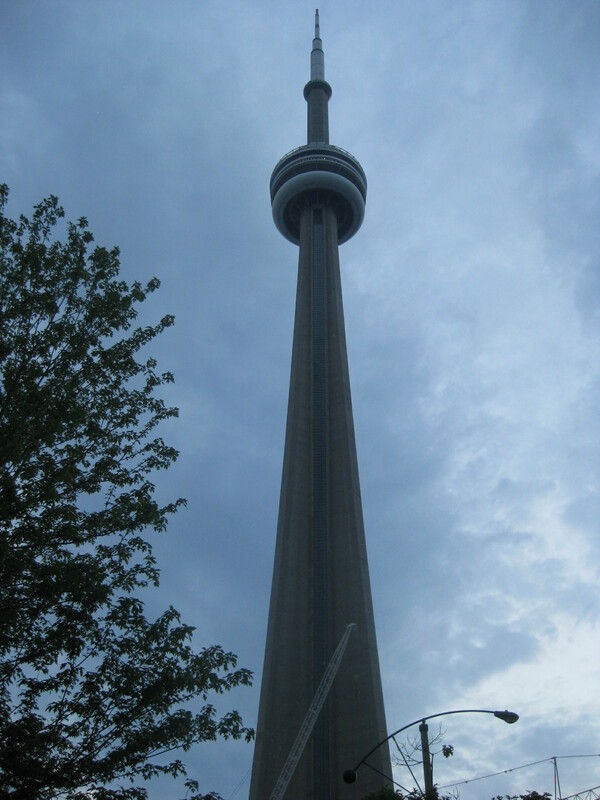 Enjoyed your Toronto photos — great city! 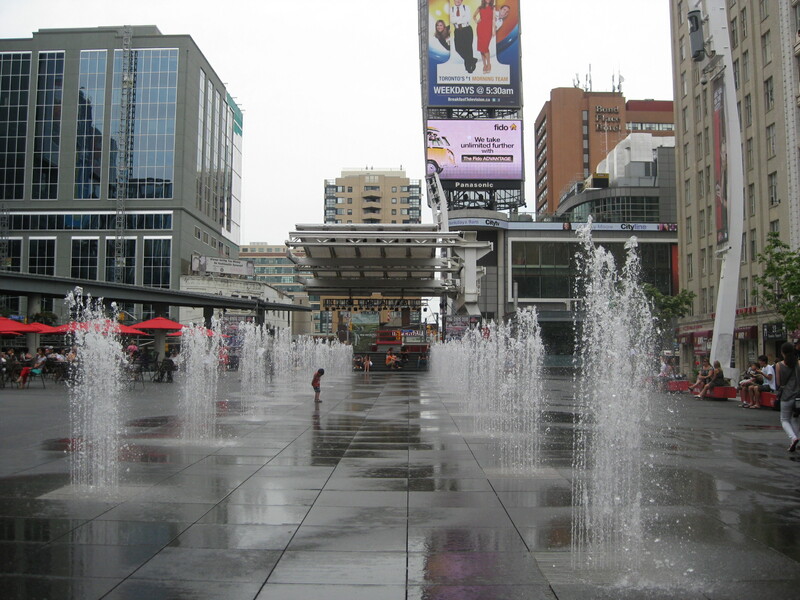 Had a wonderful time there years back — beautiful city, fun things to do, friendly people. As a native Chicagoan (now living in L.A.), I felt right at home in Toronto — the lake, the ambience, the spirit. Wishing you all the best. Yes, great city! So’s Chicago and L.A.
Wow, I love your writing in this. It gave me goosebumps! You really seemed to capture my exact thoughts when I’m in the city. You did a fantastic job. Toronto is one of my favourite places to take photos because the architecture is old and there is such a great cultural diversity. Great shots! Never been to Toronto, but I’m not sure I want to go if it means getting a SPA burn! What is that (last image)?! I lived in Toronto for a few years, and your pics brought back memories. Thanks. 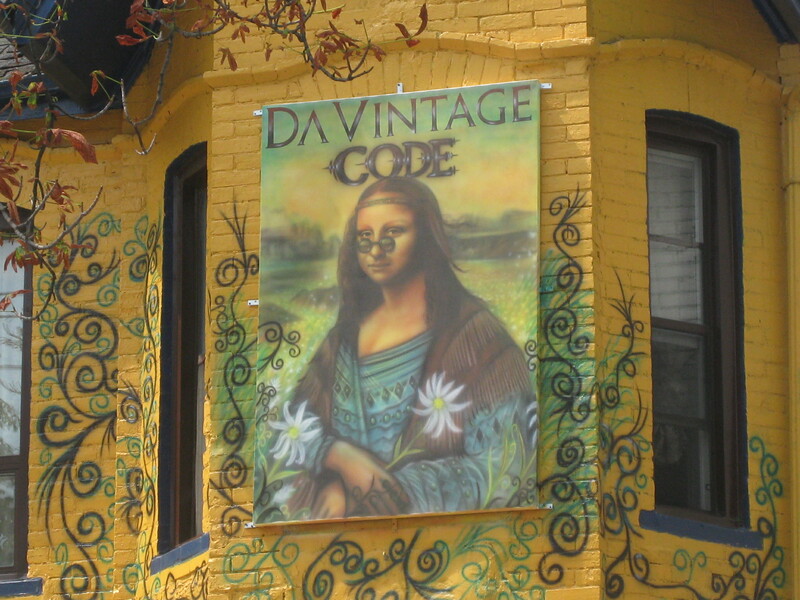 Da Vintage Code is my favorite. HI, the crawling walls sticker and the Apostrophe one were my favorites. Da Vintage Code, priceless. Also the sticker, no wall-crawling or no spider-man, on the window had me laughing. Hey! You’re in Toronto which means you just passed me by…. I’m wondering what you’ll see on Gerrard Street. a poem as lovely as a ?